Sitting on the South Carlina State House grounds in Columbia is the expansive African-American Monument. It was installed in 2001 as part of the compromise that saw the Confederate flag moved from the statehouse dome to the grounds near the Confederate monument. 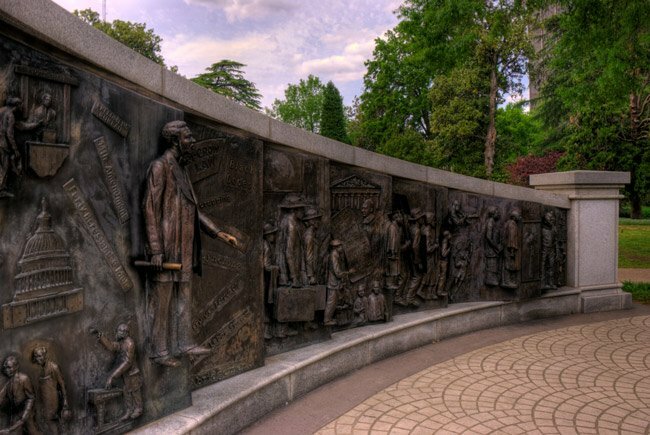 The African-American Monument is the work of Colorado sculptor Ed Dwight, who has created several works of art celebrating African-American life. 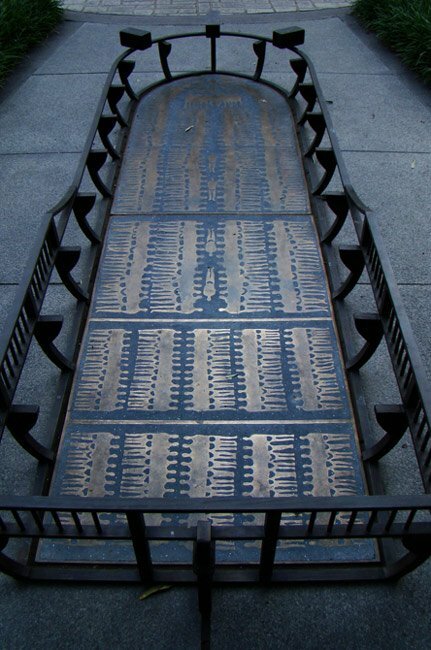 Standing two floors high and spanning 25 feet, the memorial tells the story of African-Americans in South Carolina from their arrival during the slave trade to the modern age. According to Dwight, the demilune shape of the monument reflects an African village built in the round. 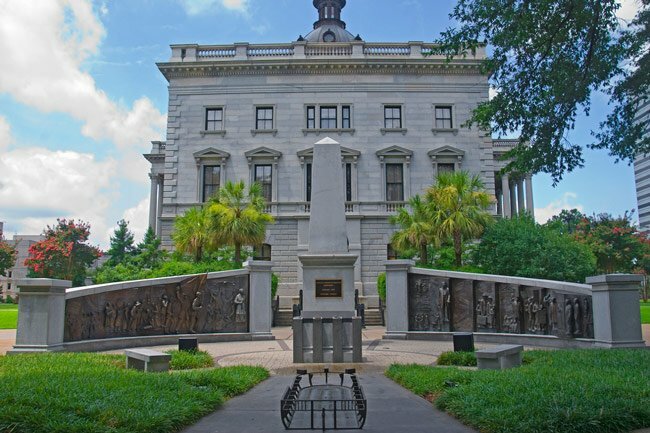 Though important figures in South Carolina history may be implied in the monument, no specific person is mentioned in text or directly depicted. 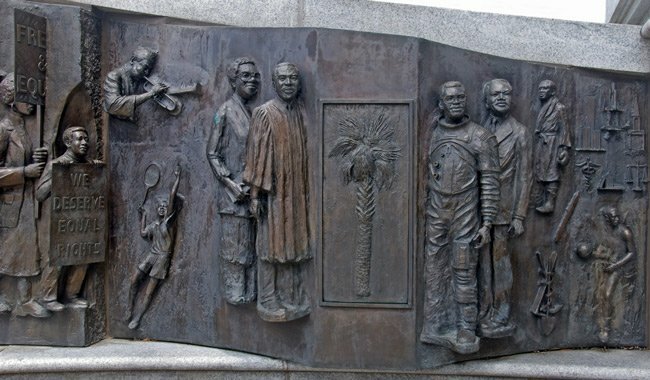 During the design phase of the monument, the commission for the project asked that no specific person be depicted in the memorial so as to avoid the representation of controversial figures such as Denmark Vesey, a freed slave accused of planning a slave revolt in 1822. Strong feelings regarding the removal of the Confederate flag from atop the Statehouse and the direction of the African-American Monument made for conflict among members of the commission during the planning phases. Yet the project continued and was completed at a cost of $1.1 million, which was comprised solely of private donations. The monument was dedicated on March 29, 2001. The Chairman of the Monument Commission was then-Senator Glenn McConnell, and the Vice Chairman was Representative Gilda Cobb-Hunter. An obelisk bearing a plaque in honor of sculptor Ed Dwight stands before the monument, and an image representing human bodies packed into a slave ship sailing the Middle Passage rests on the ground in front of the obelisk (seen below). 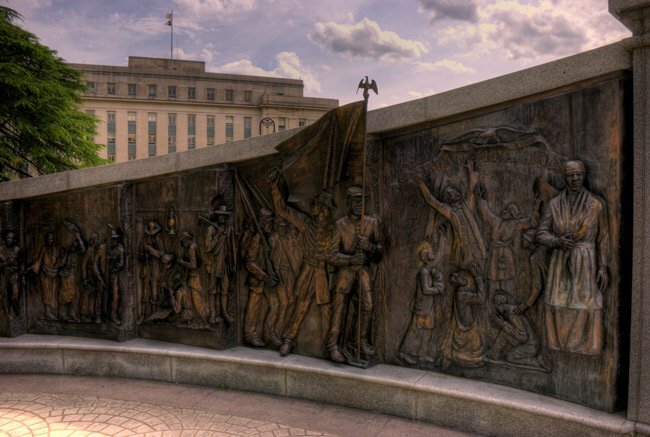 The African-American Monument is said to be the first of its kind on any statehouse grounds in the United States. Ashley Cherry Simmons, I couldn't have said better myself. The flag has been represented by some in a negative, offensive, and racist way. So therefore it should be removed. The monument will still be there, which is a part of HISTORY and should be displayed without the Confederate flag. The flag belongs in a museum. 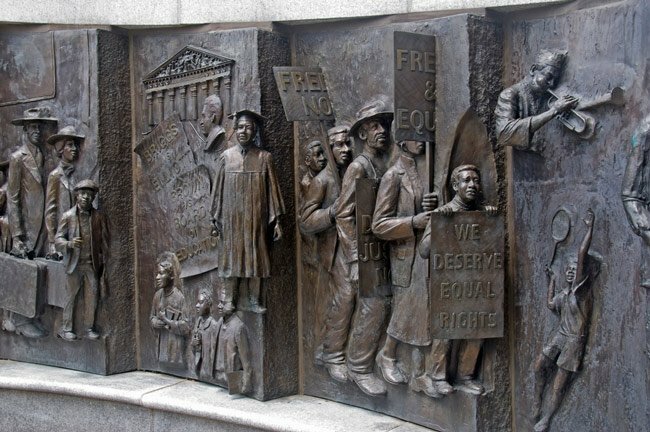 Saying the African-American Monument should be removed is ridiculous because it is a part of history which we all need to never forget what happened to this world. African-Americans were the ones who built America. Never forget that. Whites came and took over and killed the Indians for their land and resources and stole blacks to build what they couldn’t do. If tables were turned you would have the same thought. Need I say more…. Have a good day.